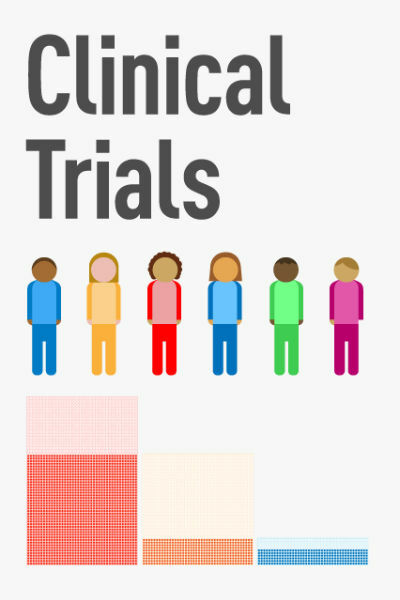 Most Interesting Gout Discussions Index is a list of Gout Forum discussions that attract the most interest. Obviously, they might not cover the topics that you need. Because these hot gout topics are based on averages from all gout sufferers. But, if you are interested in gout, you should be interested in the discussions listed below. Which gout topics are you most interested in? You should also read Favorite Gout Info for Best Gout Support. Hello all, about a year and a half ago I had my first gout attack and since then I have had a further two attacks. All three were within 6 months of one another, in my ankles, and were excruciatingly painful. I haven’t had an attack in 12 months. Yesterday I noticed a dull ache in my left ankle and today it has become more painful, I would describe it as being similar to the second or third day of an acute attack after the most severe pain has subsided. Though this feels like gout it is different from my previous attacks, specifically in that I have not had the usual mind-blowing pain. So I am curious, is this likely gout? Can you have a ‘mild’ attack that doesn’t deliver the usual ‘glass in the joint’ pain that we all know? It might seem a pointless question but any feedback would be appreciated. This entry was posted in Most Interesting Gout Discussions Index on December 22, 2016 by GoutPal Victim. I had my gall bladder removed a few years ago and since then I have noticed the gout creeping in. Is there any significance with that? 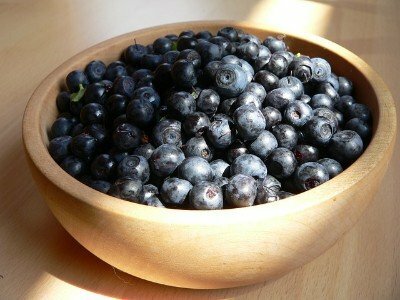 Because of the digestion changing (no gall bladder). Is there a link between gall bladder removal & gout? You need to look at all the circumstances. 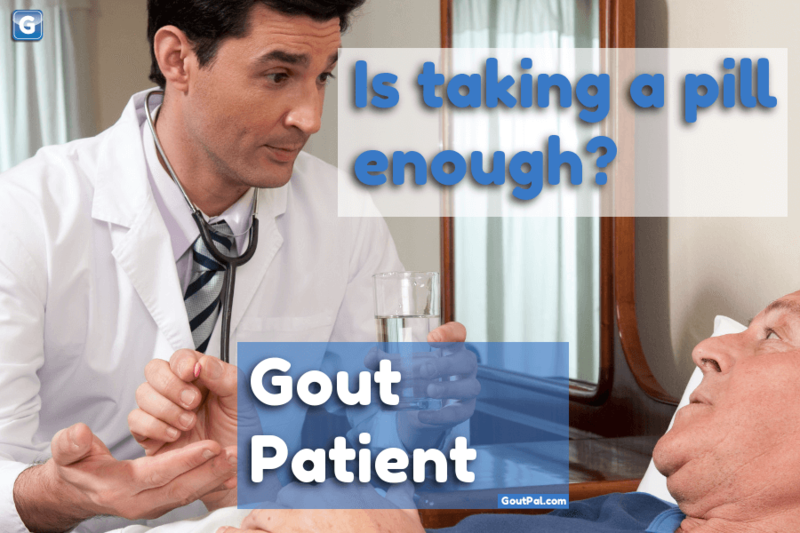 Is it just surgery that is the problem, or is there a gout link? Several gout sufferers joined the discussion to say they had gout after gall bladder removal (cholecystectomy). But, nobody supplied any useful, relevant facts. We rarely got the time difference between surgery and gout symptoms starting. We never got any uric acid blood test results. “The tendency to have gout runs in families so it is very possible that you didn’t have to do anything. There is no gout gene but there seems to be genes that predispose people to develop hyperuricemia, too much uric acid in the blood. For many gout sufferers, the hyperuricemia precedes the gout often by as much as twenty years. You and your son might have these genes. “Cholecystectomy does not significantly increase the risk of fatty liver disease” has significant information, though it is not a gout study. Over 34,000 subjects were analyzed. People who had gall bladder removed showed no significant change in uric acid levels. There are several reports of surgery increasing uric acid level, but this is short term, and not conclusive. 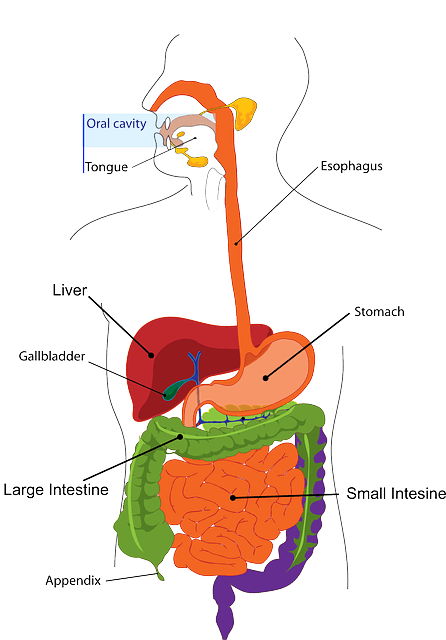 Where gallstones are present, they should be analyzed for uric acid content. There are “between the lines” suggestions that some people who are susceptible to gall bladder problems, might also be susceptible to gout, through poor eating habits. Uric acid deposits in the gall bladder might cause damage that necessitates surgery. As with all aspects of gout, gall bladder involvement has to be investigated on an individual basis. I’ve included this in the Secondary Gout Group, as there is a suggestion that gall bladder removal might cause gout. However, all the evidence suggests that a connection is unlikely. Therefore, gout sufferers who suspect gall bladder problems need to discuss their situation with their doctors. If problems that led to gall bladder removal have been resolved, but uric acid is still high, then they must decide which form of uric acid control is best. What is your experience with gall bladder removal and gout? Are Gall Bladder Removal and Gout linked? This entry was posted in Most Interesting Gout Discussions Index on October 3, 2016 by Junior GoutPal. Hey Keith et al., do we know of a list of potential triggers? I’ve been so careful about eating and brought my uric acid down to 4.9 (from 6.4) within 6 weeks. Now it’s been 8 weeks and I was awake with the pain I originally had 8 weeks ago. All I can think of that I’ve had in the last week is a serving or two of “no sugar added” ice cream or quite possibly one serving of wheat pasta with vodka sauce, and a LOT of black beans and quinoa which I don’t think would do this. Then I’ve seen other posts on the Internet which indicate black beans are actually triggering gout attacks?! 1 veggie – cucumber/pepper/carrots etc. Prior to this I ate complete junk and drank lots of IPA. 🙂 So I have completely transformed my eating but haven’t seen much of an effect. Still on 100 mg allopurinol and don’t want to increase as I have a very annoying side effect where my limbs have major pins/needles/pain and I can’t sleep. For those on allopurinol 200 mg, do you take one pill in AM and one in PM, or together? This entry was posted in Most Interesting Gout Discussions Index on September 13, 2016 by Lowell Andrew F..
I’m not sure if I have gout but I know I cannot continue in pain any longer. I have painful feet – it feels like I’ve got broken glass inside my feet – its the tops of my feet and toes as well as my ankles that hurt when I walk or stand. My feet also hurt at night in bed if one foot is on top of the other. X-rays reveal arthritis and blood test shows slightly elevated Uric acid levels. GP says I should try to reduce foods with purines as he does not want to prescribe any Meds to reduce the Uric acid at this stage. He also told me to lose weight(I’m overweight). He has prescribed a natural product called Piascledine (soya and Avocado extract)for arthritis, which I have been taking for 5 weeks with no improvement. I take anti-inflammatories twice daily, but nothing seems to help. 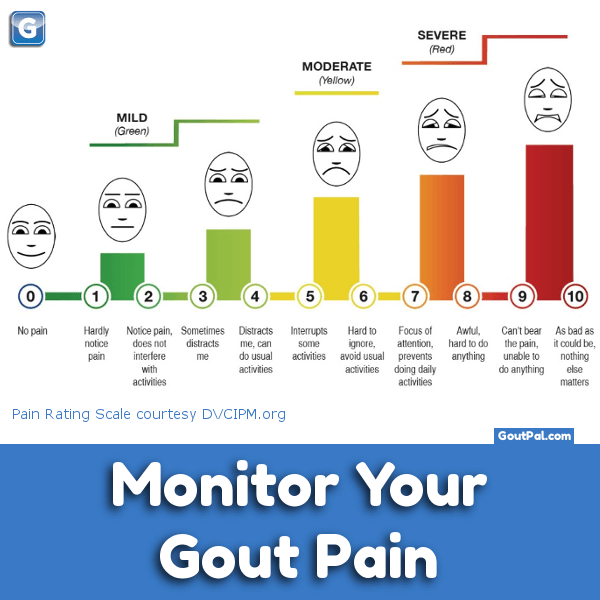 I discovered this site and thought that perhaps I have gout or gouty arthritis and was hoping that I could find a way to ease the constant pain. I would appreciate any input and advise. 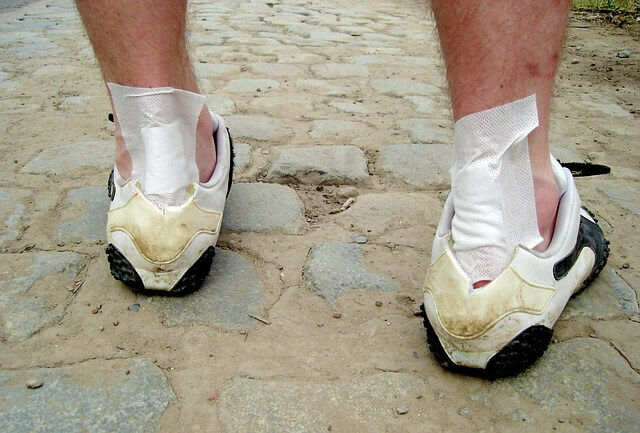 Does gout make your feet sore like running a marathon? This entry was posted in Most Interesting Gout Discussions Index on August 19, 2016 by Irma Reitz. 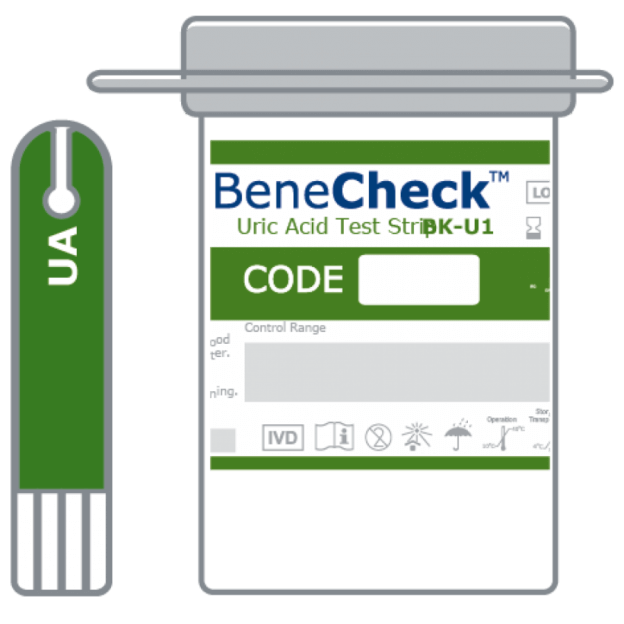 Where is Benecheck Uric Acid meter Support? I recently purchased a BeneCheck meter. I haven’t received it yet but I am wondering where I can buy additional uric acid test strips. I live in Arizona near Tucson. Internet searches came up short for US distributors. This entry was posted in Most Interesting Gout Discussions Index on August 16, 2016 by Joseph Sigismonti. Uric Acid Kidney Stone: Will allopurinol help? 2 years ago I have been diagnosed with a Uric Acid type kidney stone. Then the doctor asked me to take 300mg Dosage of Allopurinol. Because my uric acid went above 10. After 1 year I have been diagnostic again with a uric acid kidney stone. Even though I’m still taking this medicine. Later I went to check this issue in Germany. But the doctor there told me to substitute the medicine with another one called Aden uric ( febuxostat ) 80mg. Because as he said it’s better than allopurinol. continue reading Uric Acid Kidney Stone: Will allopurinol help? This entry was posted in Most Interesting Gout Discussions Index on August 3, 2016 by Ahmed Abughrara. Can drinking club soda help my gout? Carbonated Water and Gout Water as a Home Remedy for Gout Can drinking club soda help my gout? Please add your own questions, experiences, and opinions about soda water and gout. Before my summary, I need to say, the old discussion attracted a lot of interest from people asking ‘Is tonic water good for gout?’ Now, tonic water isn’t really club soda. Because, it contains quinine. But, quinine was never mentioned in the club soda discussion. So, if you want to ask about quinine and gout, it’s best to start a new topic. The biggest issues we discussed relate to sodium content of soda water. Now, that isn’t specifically a gout issue. But, many gout sufferers also have problems with high blood pressure (hypertension). We had some arguments about this. And, confusion seems to arise from manufacturers announcing “sodium free club soda”. So, the message is: ‘Read the label’. If sodium is an issue in your diet, you must check before you buy. In some products, sodium is replaced with potassium. And, that raised issues about mineral waters. 2018 Update: See Best Home Remedies For Gout: Water for new information. Because this now includes a report showing how “Natural Soda Water Prevents Gout”. Mineral waters, spring waters, volcanic water, seltzer, and sparkling water are all common names for club soda. But, for any drink, or food, the real effects on gout can only be judged from the label. So, just because a water is “sparkling” does not make it good, or bad for gout. Therefore, if you want to ask about any type of sparkling water for gout, please quote the product label ingredients and nutrition values. 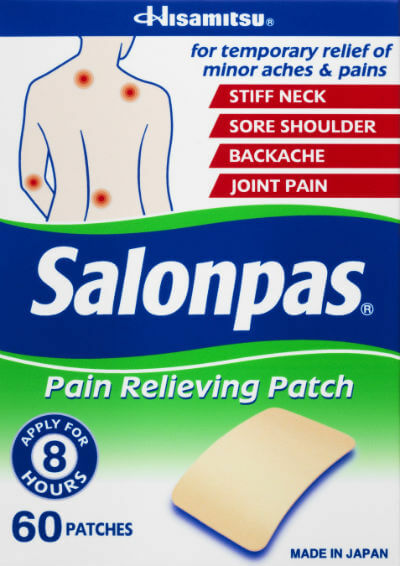 Even the brand is useful, as most manufacturers publish label information online. I’ll finish with Keith’s original conclusion. Then, you can ask for clarification, or add your own thoughts. Carbonated water can help ease constipation. This is relevant to gout as around one third of uric acid is excreted through the gut. A 2002 study, Effects of carbonated water on functional dyspepsia and constipation, reveals that subjects who drank carbonated water for two weeks had 25% less constipation than those who drank tap water. 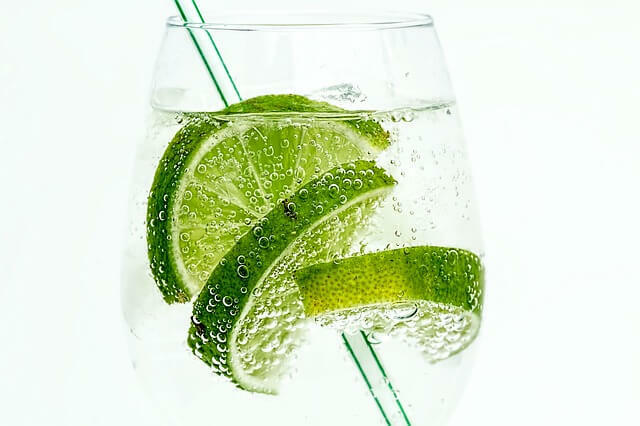 Carbonated water can help increase skin blood flow. The report on skin blood flow and carbonated water involved subjects immersing legs in carbonated water for 10 minutes per say over a 3 week period. Those using carbonated water showed a significantly higher skin blood flow and reduced numbness compared to a control group using tap water. I’m not sure if this will help gout or not, but if anyone has the funds to dangle their gouty joints in club soda, I’d love to hear from you. Club soda has a slight alkalizing effect. There are hundreds of websites that claim the opposite. None of these have any source references for their claims, and many are sales sites for alkalizing diets or products. I finally found a site with clear scientific references. GoutPal.com includes a method for calculating the acid-alkaline balance of diet. It also has list of PRAL values of all foods in the USDA database, showing club soda’s PRAL value of -0.133. I’ll be talking more about PRAL in my diet pages at foodary.com. So, I’m fairly confident that club soda will have a positive effect for gout patients. Just beware of high blood pressure, and be aware of additives by checking the label. Will Club Soda help your gout? This entry was posted in Most Interesting Gout Discussions Index on February 5, 2016 by Gout Foodie. These are old posts from the Gout Seeker Discussions. For an explanation of GoutPal Gout Seekers, please see Plan for Gout Seekers. As discussions get old, we collect interesting points from those discussions here. You can reply to them if you wish. However, it is better to start a new gout forum topic. I show as the author on some of the posts shown below. Because the Original Poster has left the forum. 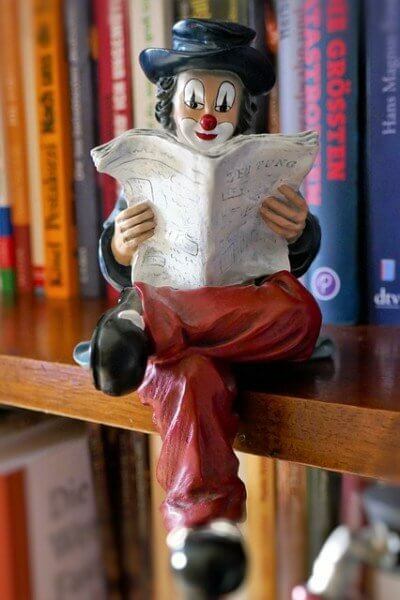 In that case, I take over the post, where it is useful to other Gout Seekers. 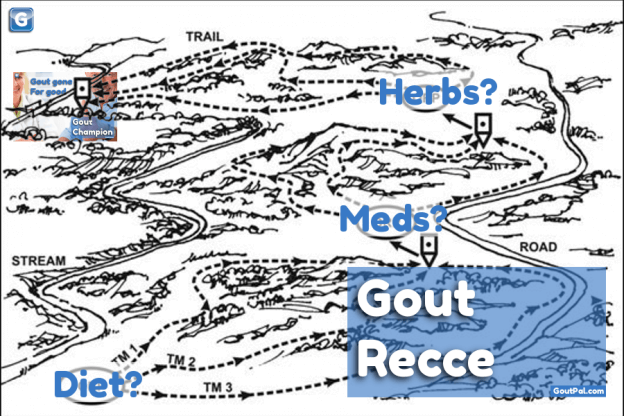 Are you ready for Gout Treatment Reconnaissance? 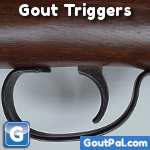 This entry was posted in Most Interesting Gout Discussions Index on December 7, 2015 by GoutPal Seeker. These are old discussions from the gout patients group. As discussions get old, we collect interesting points from those discussions here. feburic 80, feburic 80 dosage. Are you taking the right pills at the right time. This entry was posted in Most Interesting Gout Discussions Index on December 4, 2015 by Gout Patient.